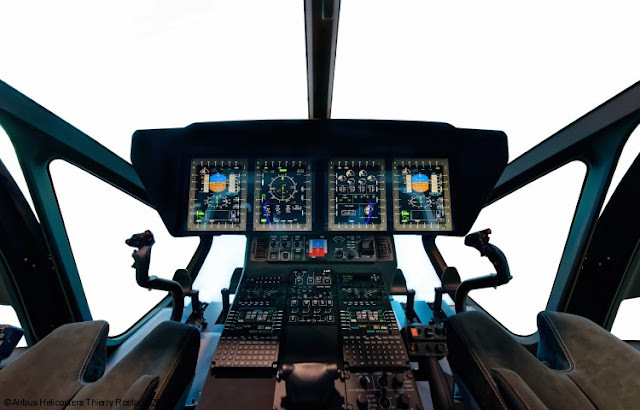 Marignane - Airbus Helicopters has partnered with Thales and Helisim to develop and deploy the full flight simulator (FFS) for the H160. In line with the “born ready” strategy implemented by the H160 since the beginning of its development, the FFS will be available to support the H160’s entry into service. This partnership between experienced and recognized companies will offer to future H160 operators a complete range of training services based on a level D FFS using Airbus Helicopters’ Simulation Package “Expertise”. “This partnership is an essential milestone in the H160 program and key to meeting the needs of our customers in order to prepare the smooth introduction of H160 into their operations” explained Bernard Fujarski, head of the H160 Program at Airbus Helicopters, “The first FFS will be installed at the Helisim simulation centre in Marignane, France and additional simulators will be deployed worldwide in line with market needs” he added. Helisim has been the world’s foremost simulation centre for Airbus Helicopters platforms for more than 15 years. The new generation 5.5 to 6-tonne twin-engine H160 helicopter will be tailored for a wide range of applications, including oil & gas operations, emergency medical services, public service, and private and business aviation. To accompany the innovative H160 design, the FFS will be based on the Thales Reality H series, the most advanced helicopter training simulator on the market. Reality H is perfectly suited to respond to the training needs of the H160, as it produces the most vivid synthetic environments of any civilian based training scenarios and is fast becoming a mainstay for all type of mission-readiness within training centres around the world. Helisim is a Joint Venture between Airbus Helicopters, Thales and DCI providing high-end simulation services for pilots. Helisim is the world’s foremost simulation centre for Airbus Helicopters platforms, operating 24/7 with over 135000 cumulated flight hours, since its creation in 2000, and over 3000 pilots trained every year.